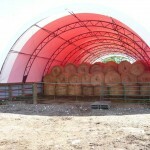 Will a FastCover Building work for Hay Storage? 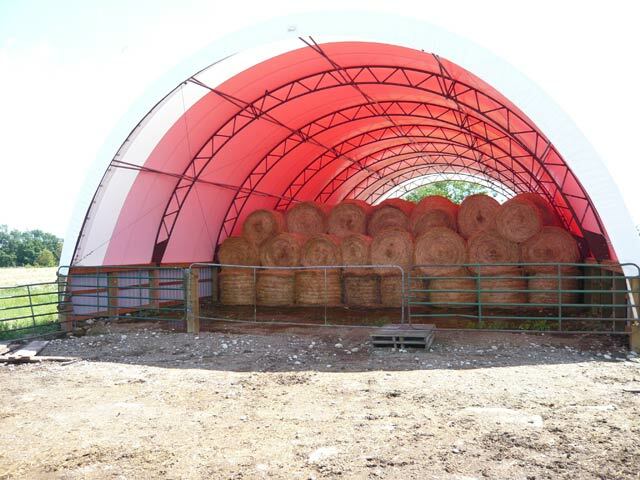 Easy access and preserving the value of your hay crop are just a couple of the advantages of using a FastCover fabric building on your farm for hay storage or crop storage. Combine this with flexible foundation options, rapid installation and the ability to relocate if necessary and building value is unquestionable. The polyethelene fabric covers include UV ray inhibitors to reduce the effect of the sun on your stored materials. 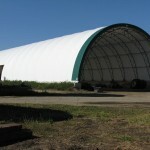 The high center clearance of the fabric buildings and ability to allow air flow from the building ends and sides help to provide an excellent drying environment for your hay storage and crop storage. There are no interior column or cross support beams to interfere with the movement of equipment or the placement of bales inside the building. Building side walls rise quickly, gaining height and maximizing the building interior width and height for storage. A FastCover building can be erected on site in just days. Other buildings installations may be measured in weeks or months and may require you to wait for extensive foundation preparations. A FastCover building offers a more flexible installation process and foundation requirements. 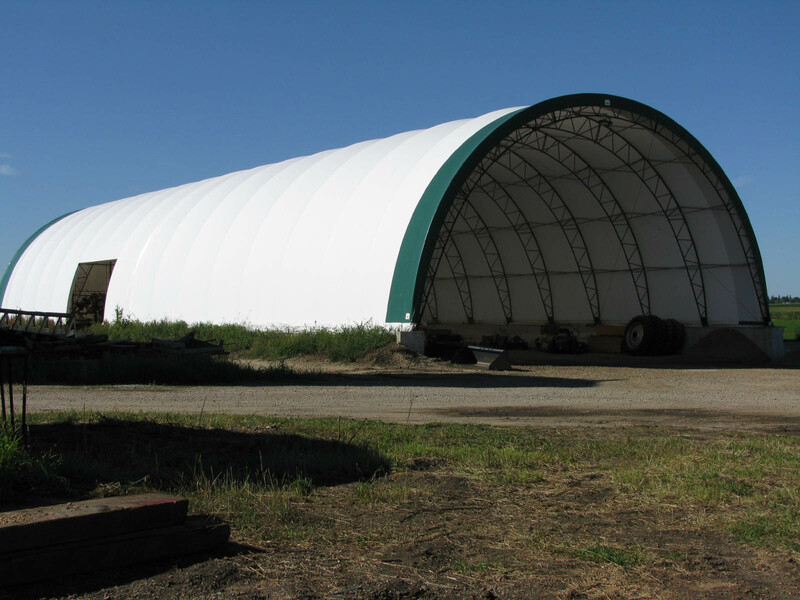 FastCover buildings can be relocated, so if your hay storage or crop storage needs change, or need to be moved to a different location on your farm, the buildings can be disassembled and re-assembled where needed, extending the value of the buildings. Flexible foundation options including ground screw anchors or block foundations can make the entire building transportable to a new location.